The first light on this long shingle bank off the Suffolk coast was recorded in 1634 and the present tower was built in 1792. 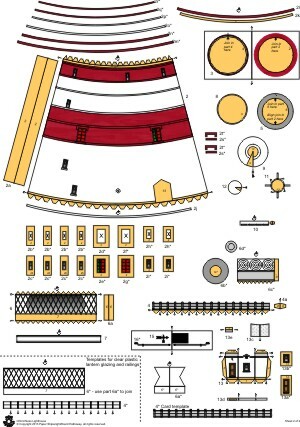 Long inaccessible due to the island being used for weapons research, the recent acquisition of Orford Ness by the National Trust means that public access to the lighthouse has been restored (though the lighthouse itself is not open to the public). The light was discontinued and abandoned in June 2013 due to the threat to the building from coastal erosion. 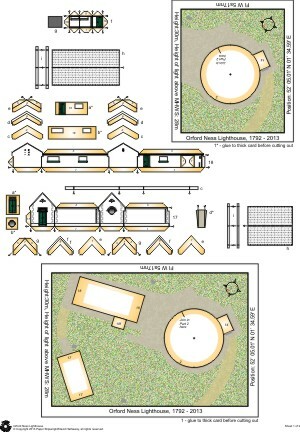 The original model has been revised and updated to include the outbuildings. 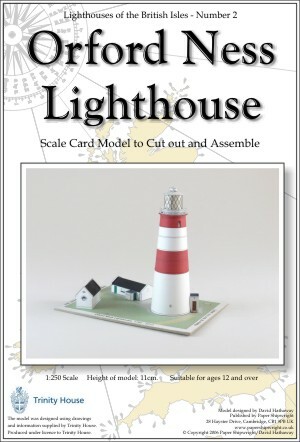 This model is part of a range of models of English and Welsh lighthouses produced under the terms of a licencing agreement with Trinity House.